Oprah Winfrey, George Clooney and Steven Spielberg said on Tuesday they would each donate $500,000 US to the March for Our Lives rally in Washington in support of gun control following last week's shooting at a Florida high school that left 17 dead. Oprah Winfrey, George Clooney and Steven Spielberg said on Tuesday they would each donate $500,000 US to the March for Our Lives rally in Washington, D.C. in support of gun control following last week's shooting at a Florida high school that left 17 dead. 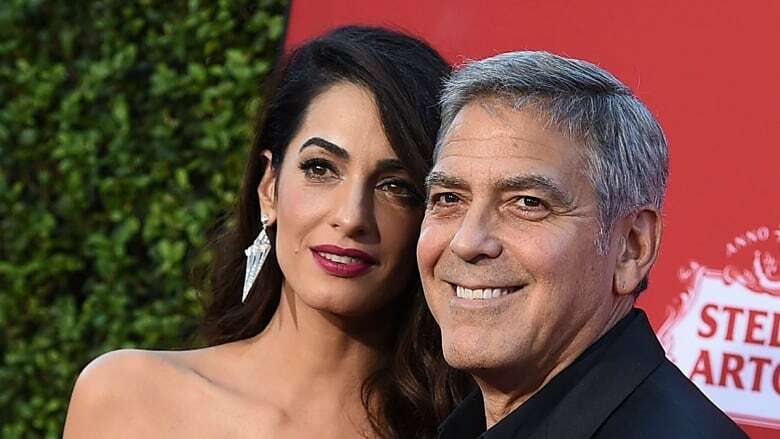 Clooney and his wife, human rights lawyer Amal Clooney, were the first to make the financial pledge and also said they will march alongside the students behind the rally on March 24. Students from Marjory Stoneman Douglas High School in Florida, where a 19-year-old former student is accused of going on a rampage with a semi-automatic AR-15-style assault rifle on Feb. 14, are assisting in planning the march. "Our family will be there on March 24 to stand side by side with this incredible generation of young people from all over the country, and in the name of our children Ella and Alexander, we're donating $500,000 to help pay for this groundbreaking event. Our children's lives depend on it," Clooney said in a statement. Later on Tuesday, Spielberg and wife Kate Capshaw and Winfrey each said that they would match the Clooneys' donation. "George and Amal, I couldn't agree with you more. I am joining forces with you and will match your $500,000 donation to 'March For Our Lives.' These inspiring young people remind me of the Freedom Riders of the 60s who also said we've had ENOUGH and our voices will be heard," Winfrey tweeted. In an emailed statement, Spielberg and Capshaw said: "The young students in Florida and now across the country are already demonstrating their leadership with a confidence and maturity that belies their ages." It was not immediately clear whether they and Winfrey would attend the march. Film producer Jeffrey Katzenberg and his wife Marilyn also said they would match the $500,000 donation and march in Washington. The March for Our Lives event is one of several rallies being organized by students across the country in support of stronger gun laws, challenging politicians they say have failed to protect them. Busloads of Florida students headed to the state capital Tallahassee on Tuesday to call for a ban on assault rifles. Other celebrities have voiced their support for the students' efforts on social media, including Justin Bieber, Lady Gaga and Cher.